The A.R.C. 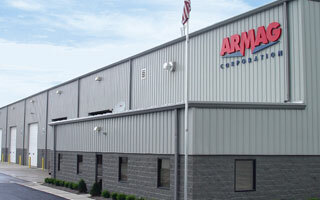 Vault SCIF’s security starts with Armag’s manufacturing facility. Armag custom manufactures every A.R.C. Vault in a tightly controlled security environment at our facility in the United States. During the entire design and construction process, only a small number of authorized personnel are given access to each A.R.C. Vault SCIF and the construction area. Armag also utilizes “random procurement and selection” during this process. The A.R.C. Vault SCIF’s physical security features and continuously welded ¼” steel construction provide a superior level of security not found in other SCIFs. A.R.C. Vault SCIFs are built “from the ground up” with every material and component controlled, inspected, and manufactured to achieve a high level of quality and security. This sets the A.R.C. Vault SCIF apart from SCIFs which are retrofits of unsecure structures such as shipping containers, trailers, or rooms in existing buildings. The certified forced entry design puts the A.R.C. Vault SCIF in a category all its own. Its physical security meets the rigorous standards for forced entry and ballistics resistance as outlined under DoD 5100.76M. This robust construction gives it tremendous capability for use in extreme operational environments. The A.R.C. Vault SCIF can also be manufactured to provide RF and EMP/HEMP protection. Our shielded enclosure design has been tested and certified by a third-party RF shielding authority, and meets rigorous TEMPEST standards as required by a Certified TEMPEST Technical Authority (CTTA). Scalable RF shielding to help meet TEMPEST requirements as directed by a Certified TEMPEST Technical Authority (CTTA). TEMPEST requirements can be selective and ARMAG can tailor our product to the client’s dB of attenuation needs.